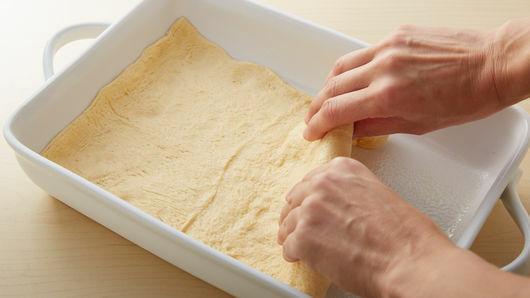 Unroll 1 can of dough into 1 large rectangle; place in pan. Press in bottom and 1/2 inch up sides of pan to form crust. Layer roasted pork onto dough; spread mustard evenly over pork. 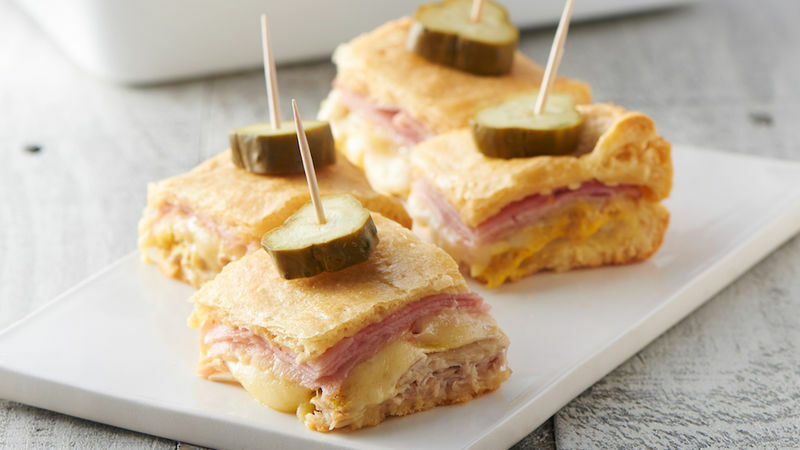 Top with cheese slices and ham. Unroll second can of dough. 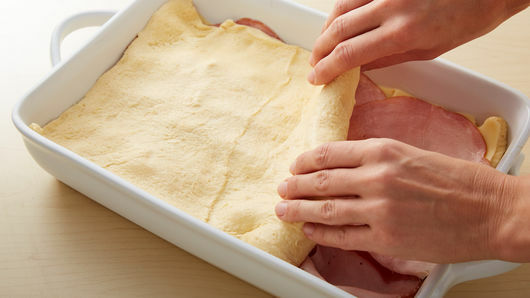 Place over layered ingredients, stretching to cover filling; press edges to seal. Brush with beaten egg. Cover with foil. Bake 30 minutes. Remove foil; bake 15 to 20 minutes longer or until deep golden brown. Cool 10 minutes. To serve, cut into 6 rows by 4 rows. Just before serving, top each square with 2 pickle slices. 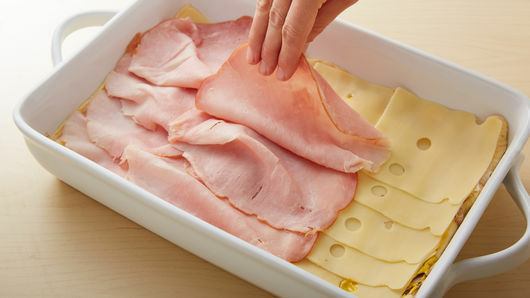 You can find sliced cooked pork in the deli section of your favorite grocery store. Baby dill pickles can be substituted for the pickle slices. Use a toothpick to secure in each square.